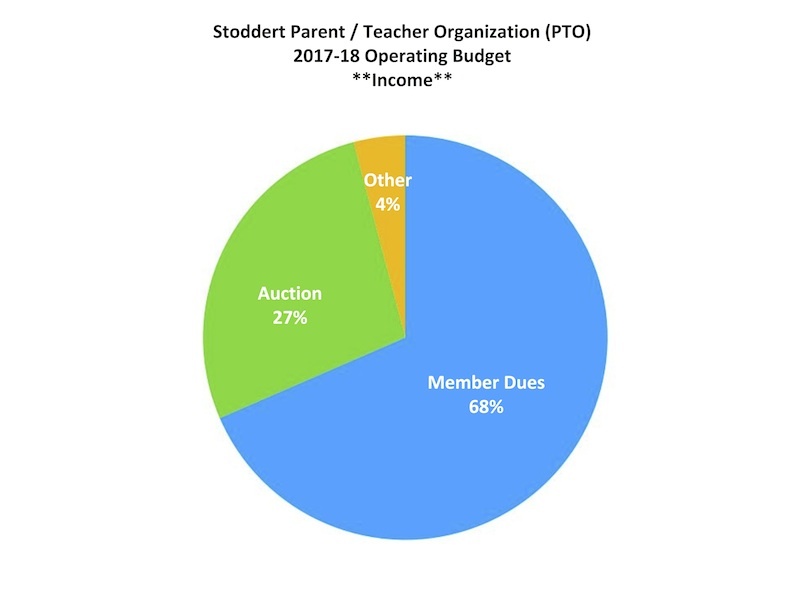 The following pie charts outline the PTO’s income and expenses for this school year 2017-18. This budget was approved at Thursday’s general PTO meeting. The PTO supports important initiatives inside each classroom for each and every student. The goal is to ensure that the dues that you are paying are impacting your students right now, this year. All Stoddert parents are members of the PTO and are asked to support the PTO by paying dues. The recommended amount is $400 per family, however the goal is 100% participation at whatever level you are comfortable with. Click here to pay your dues. The PTO’s philosophy on fundraising is to ask families for money as few times as possible! This is why paying membership dues and attending the spring fundraiser are so important. Amazon Smile – Use this link to make purchases on Amazon that benefit our school! Box Tops for Education – Bring your box tops to the box located in the lobby at school! 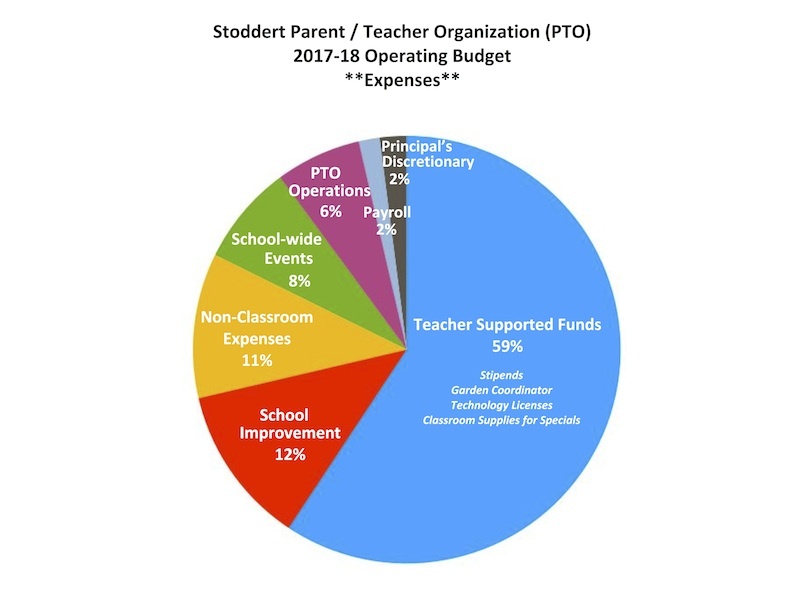 The PTO’s Philosophy on school spending is to fund or supplement items that impact every child at Stoddert for this school year!